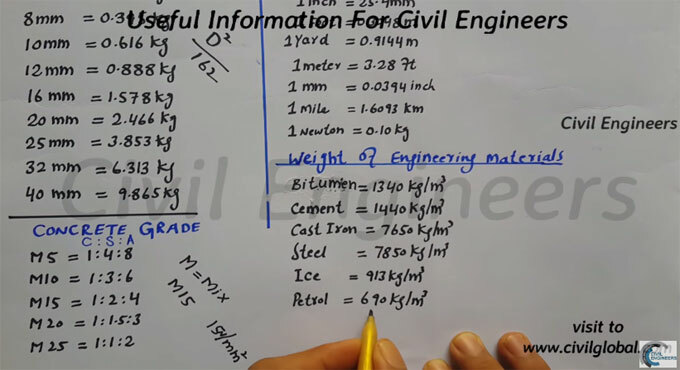 In this construction video tutorial, brief explanation is given on various topics like weight of steel per meter, standard conversion factors, concrete grade and weight of engineering materials. These informations are very useful for civil engineers. Concrete Grade Ratio:- As per ACI standard the following ratios should be maintained for different types of concrete grades.